Final day of the challenge! My third quote from Paulo Coehlo’s The Alchemist. Be thankful for your health, before you start falling ill.
Be grateful for your family and friends, before you start losing them. Be thankful for your present moment, before you start fearing the future. Be grateful for your hair, before you start turning bald. Be thankful for the roof over your head, before you start realizing a life of homelessness. Be grateful for every grain you eat, before you start starving without food when needed. Be thankful for your monotonous boring life, before you start begging for things to get normal when life takes bad turns. Be grateful for this very existence of yours, before you start realizing it’s end! Everything is a blessing in every way possible. The list of blessings can go endless, if given a proper thought. Embrace them, thank them, acknowledge them, before it’s too late! P.S: Any blogger who is interested in this challenge or anyone who wants to write regularly but is unsure of what to write about, this challenge is a good start. Please feel free to take this up! Great advice and quote. I’ve done this challenge a few times. Quotes can be so inspiring! Thank you Daisy! Yes they are very inspiring and motivating. So well told. Be grateful for every little thing in life, good or bad. Thank you. 🙂 Yes, we forget to be grateful. This is one way to remind us all about being thankful. Wonderful words my blogging friend…well and Facebook friend come to that ! That’s true. Only when we lose, or feel the pain, we realize they were blessings in disguise. Next project- No idea! 😀 Will post my writing that was published and then write on random topics. 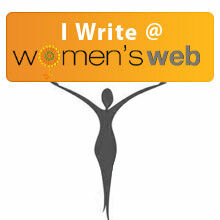 Have another blog nomination to address. Superb, again. There are so many things we take for granted, without realising that they are the life and blood of what we term a “normal” life. Oh, and that paragraph in the end, that was a good one. Motivating others till the very end! Yes, we are quick to label something normal and boring. And also quick to get disappointed when the so-felt mundane things are taken away from us!